Who is He? What about him? Who cares? 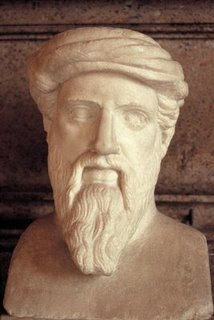 He is Pythagoras, a greek mathematician. Pythagoras is really smart, not only SMART, he is "uber" smart. He is also a philosopher from Greek. 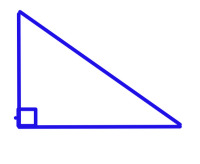 Pythagoras was the one that found out about Right Angle Triangles (R.A.T.). No one really knows if he existed or not. But he is important because his mathematical theories and formulas are still used today. Legs - The Legs are shorter than the Hypotenuse, and it comes out of The Right Angle. Each triangle always has two legs. Hypotenuse - The Hypotenuse is the longest side of a triangle and it is opposite of The Right Angle. R.A.T. - R.A.T. stands for Right Angle Triangle. Greek- A Greek is a person who was born or who is living in Ancient or Modern Greece. Theorem -Theorem is a formula or it could be a theory that can be proved. 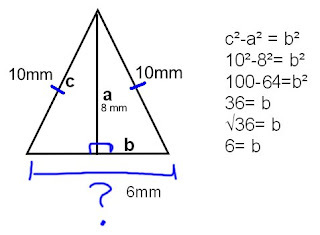 One of the artifacts is the Pythagorean Theorem. 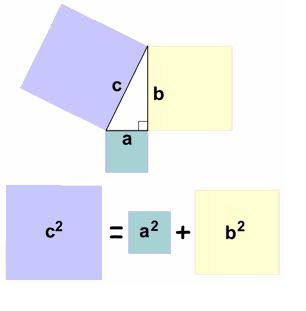 The Pythagorean Theorem is the sum of the areas of the two squares of the legs, which is 'a' and 'b' and that equals the area of the square on the hypotenuse which is 'c'. This artifact is known as a Triangle. But in the math world it is called a Right Angle Triangle, or R.A.T. The right triangle has a 90 degree angle, which is the little square in the side of the right triangle. The whole triangle is 180 degrees. This triangle has two legs, they are the two lines connecting the Right Angle. The longest side is the hypotenuse. This artifact is just a plain square. The lines on each side shows that each of the sides are equal to the other. The lines are called "Lines of Symmetry." 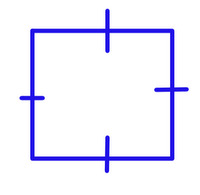 The square has 2 Right Triangles in it, that looks like the first artifact. This square has four 90 degree angles which means the whole square equals 360 degrees, and to get that you times 90 degrees by 4 which equals 360 degrees. Why heeellooo there short person. I am really bored and I need to get my math mark up so here i am commenting away on yours. Haha, well, I liked how you explained everything from the pythagoras theorem to Pythagoras himself.